February 14, 2018 Under a blue sky, colorful brewery tents lined two downtown DeLand streets on Saturday, February 10, as the 9th Annual DeLand Craft Beer Fest was a walk through Mainstreet USA -- with beers in hand, of course! 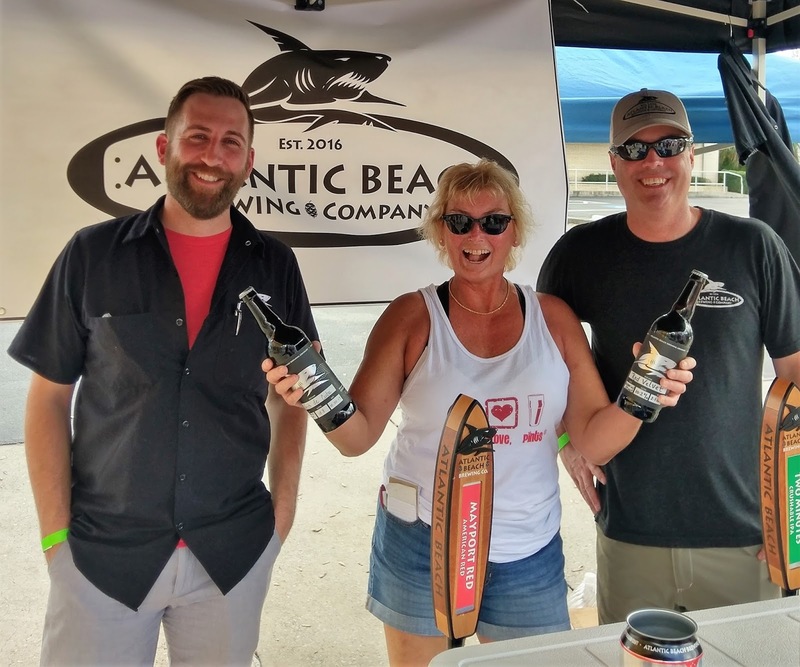 Each year, the Fest wraps up Volusia Beer Week, itself a local celebration of craft beer in Volusia County. 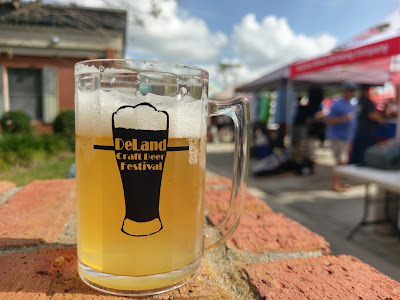 DeLand, you ask? 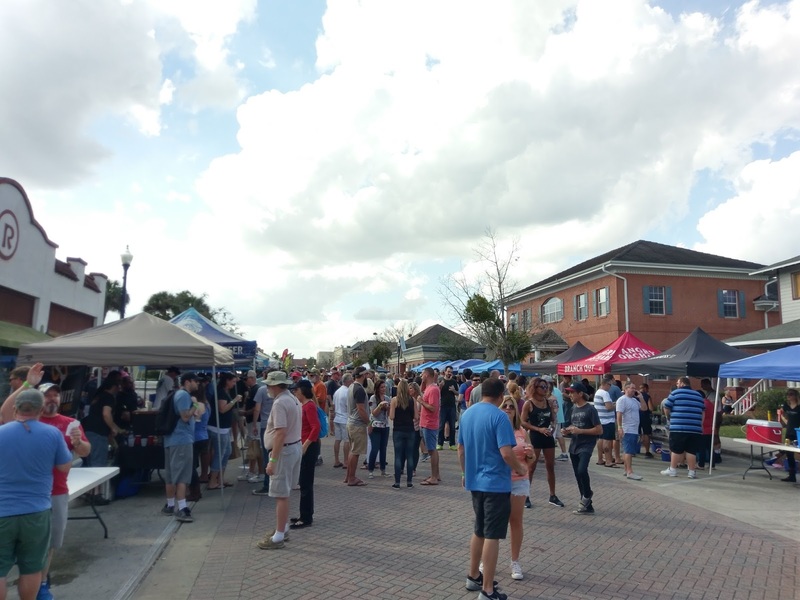 The city of DeLand, the county seat of Volusia County, is nestled between Daytona and Orlando, is home to a number of 19th century historic buildings, and is the site of Stetson University, Florida's oldest private college. 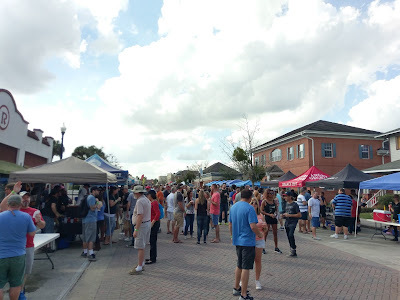 From the east, the tree-bordered drive on US 92 (Intl Speedway) from I-95 takes you to the outskirts of downtown DeLand, which features a quaint main street lined with a variety of storefronts, businesses, and outdoor eating establishments. 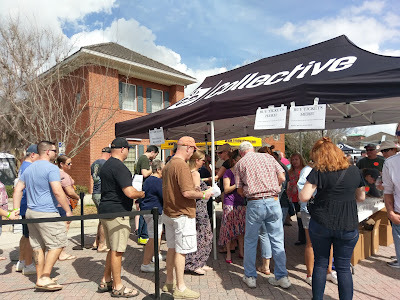 Funds raised through the main events of Volusia Beer Week, including the Brews and Bow Ties Beer and Dinner Pairings event, Volusia Bus Tour, and the DeLand Craft Beer Fest benefit the Main Street DeLand Association in its efforts to preserve and promote the historic heritage and economic development in DeLand. Although the fest featured breweries from across the state, there was a heavy representation of local beers from the Orlando and Volusia areas. 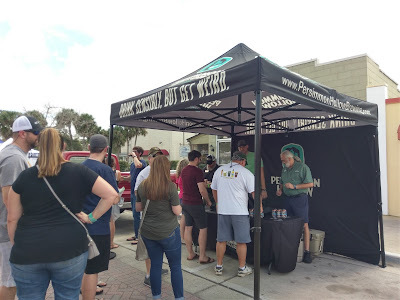 Right off the entry point was an alcove section with homebrewers and brewery-in-planning Bayboro Brewing (St. Pete) set up. 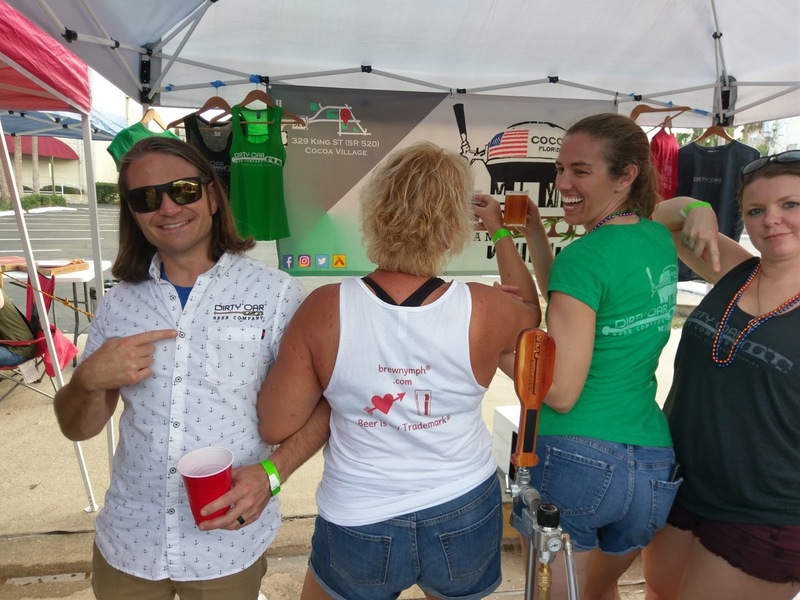 The first brewery on Indiana Avenue was the hometown Persimmon Hollow Brewing, located only a couple of blocks away. And, as you might expect, it was a popular place to start the afternoon! 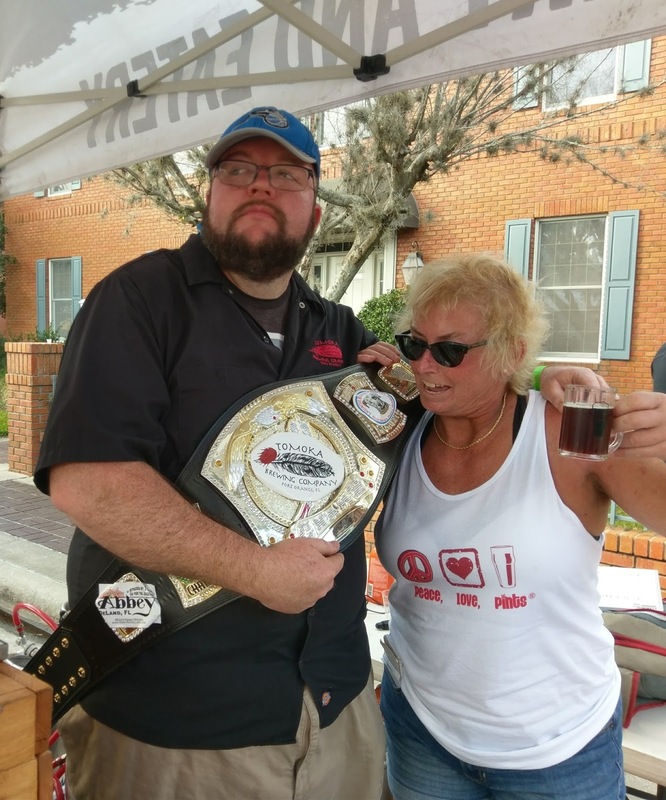 A look down the street: beer everywhere! With beer tents set up on both sides of the street, there was plenty of space to move around, and generally, lines were kept at a minimum. Beautiful day for some beer drinking! 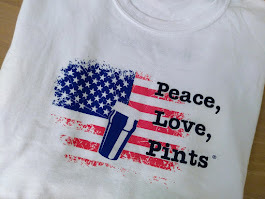 There are several stories about some of the breweries pouring beer here. 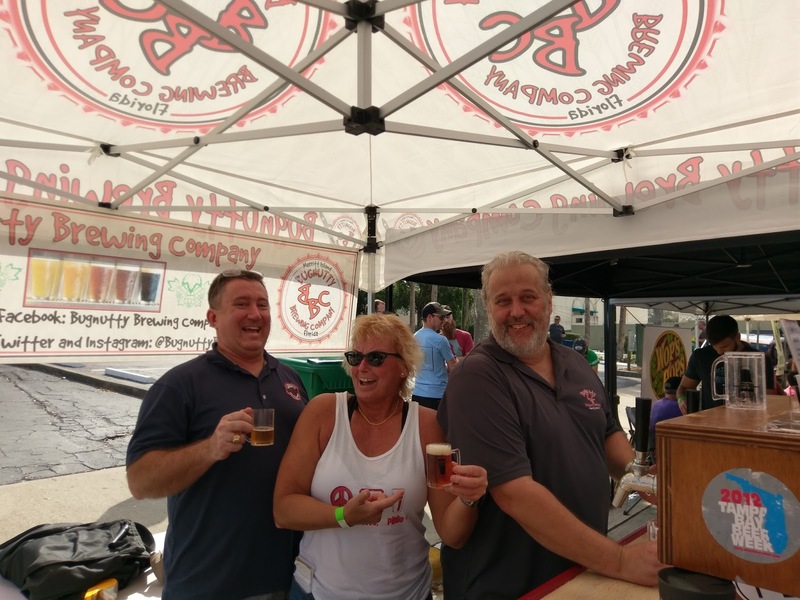 My first stop was the Tomoka Brewing tent to wish brewery rep and fest committee member Ed Irvin a Happy Brewery Anniversary. 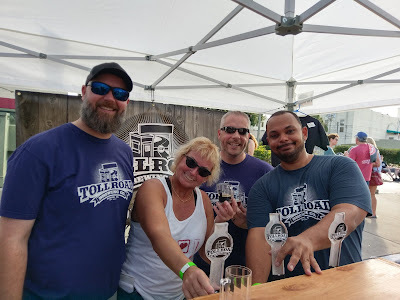 Tomoka Brewing celebrated its Third Anniversary with a big bash at its Port Orange brewpub on Saturday. I also caught up with him a little later on. 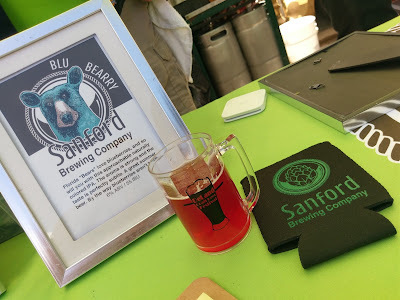 That's also a Tomoka Brewing beer in the top photo. 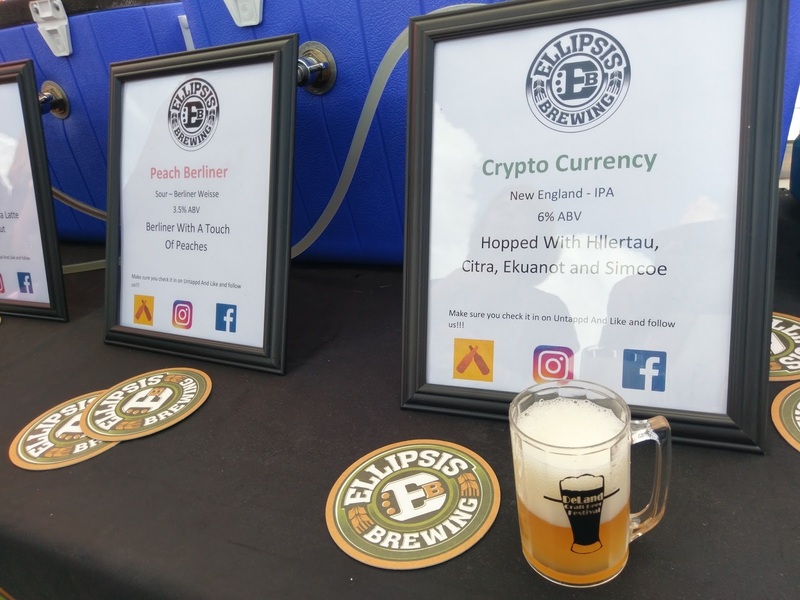 Fest first-timer Ellipsis Brewing recently opened in Orlando and celebrated with a Grand Opening on January 20. 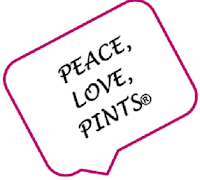 Its IPAs are already gaining recognition on social media. 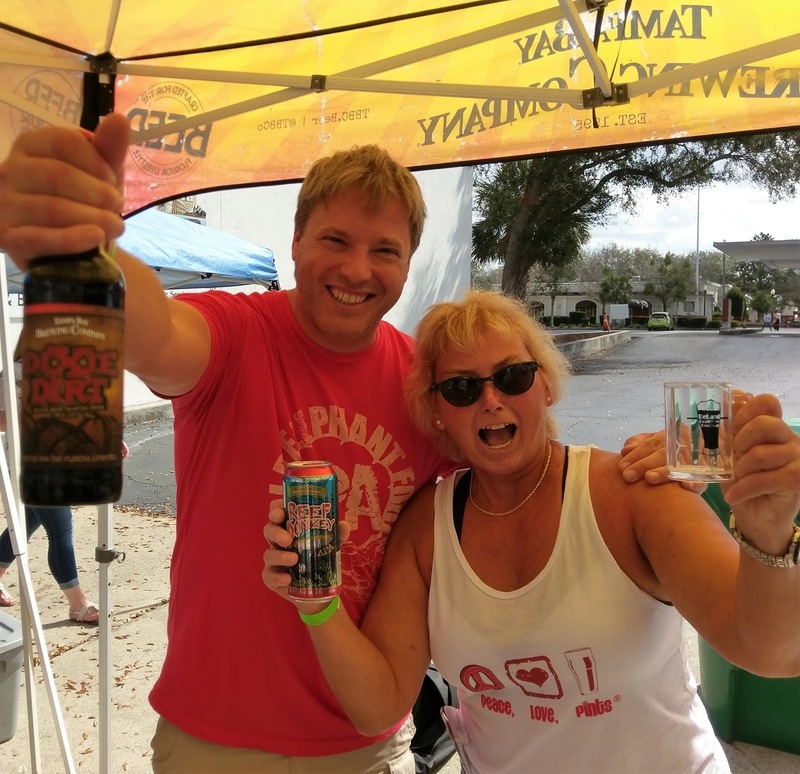 Another new brewery making its first appearance at this fest was Dirty Oar Beer Company, which opened in Cocoa last summer. I've known these guys for a while, and it seems like it's always a party visiting with them. Dirty Oar tapped several new beers at the fest, including Jupiter's Wrath IPA (citrus and pine) and Fork It Cherry Scotch Ale, with cherry and cinnamon flavors. 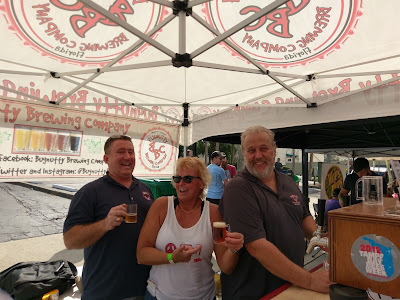 Also getting in the picture were the guys from Bugnutty Brewing, in Merritt Island. 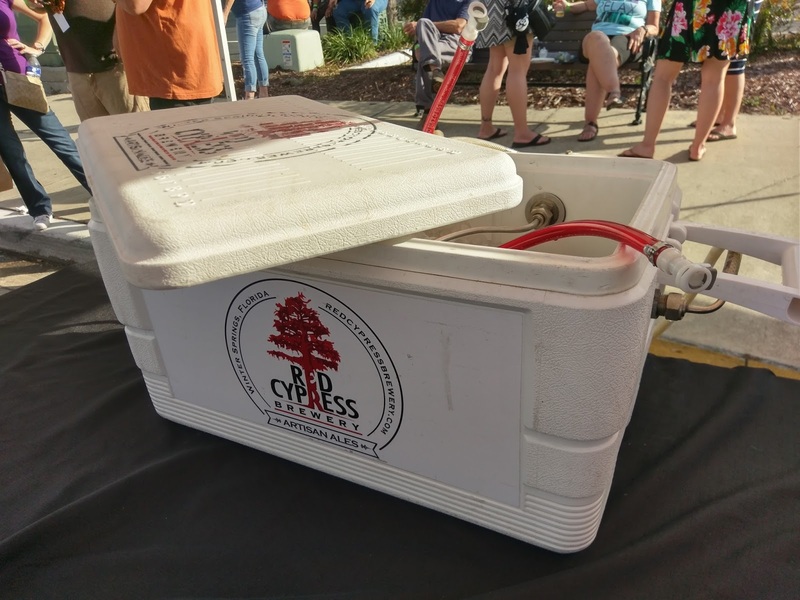 Although Bugnutty, another small brewery, has been around for a few years, it recently added a kitchen, and is also getting set for some expansion with new equipment. 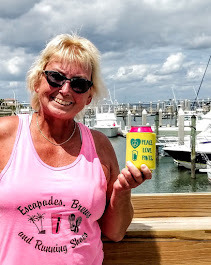 I've been there a few times, and it's another place to check out around the Space Coast area. 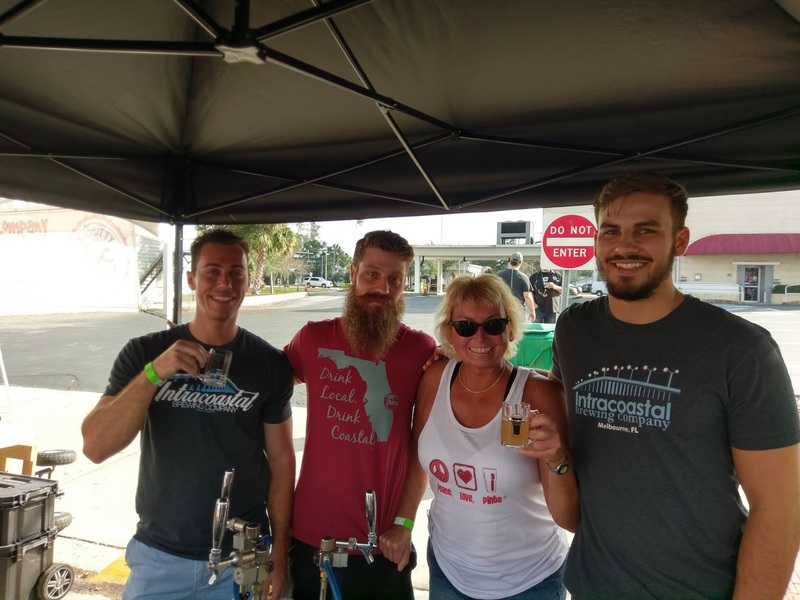 Heading back to the Space Coast, I caught up with the always-entertaining crew from Intracoastal Brewing Company in Melbourne. We may have missed co-owner John this time around, but we managed. That "Plum Goes-Uh" was one of those "Yes, Please" beers! Remember those ecologically-friendly six-pack rings and the concept that Saltwater Brewery in Delray Beach introduced a couple of years ago? It's now reality, and look for those in the Saltwater tap room and around South Florida stores. Saltwater is the first brewery to use the Eco Six Pack Rings (E6PR), now available on its Screamin' Reels IPA cans. The holders are made from by-product waste and compostable materials. This is an idea whose time has come; actually it's overdue. 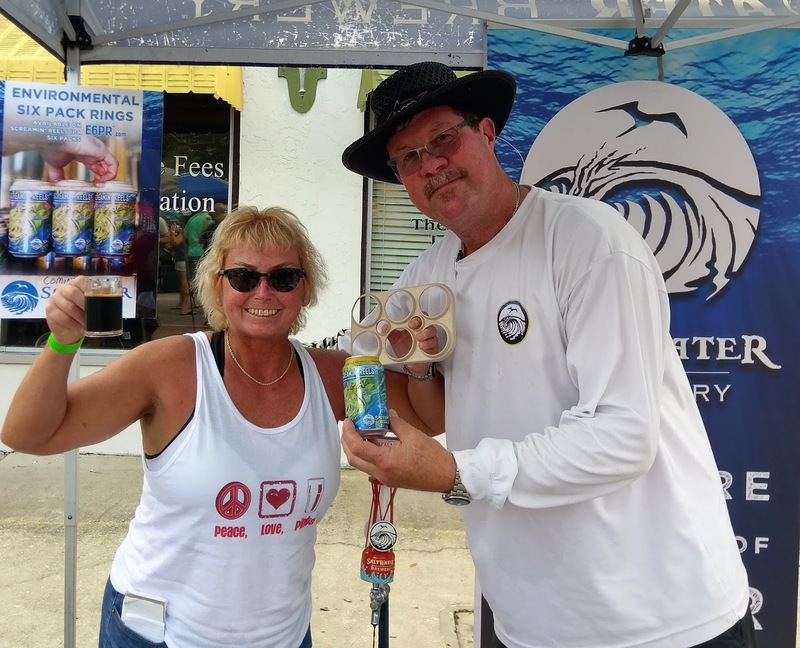 Saltwater Brewery partnered with We Believe to create these biodegradable and edible six-pack ring holders to assist sea creatures, birds, and other wildlife to help prevent them from ingesting harmful and deadly plastic rings. 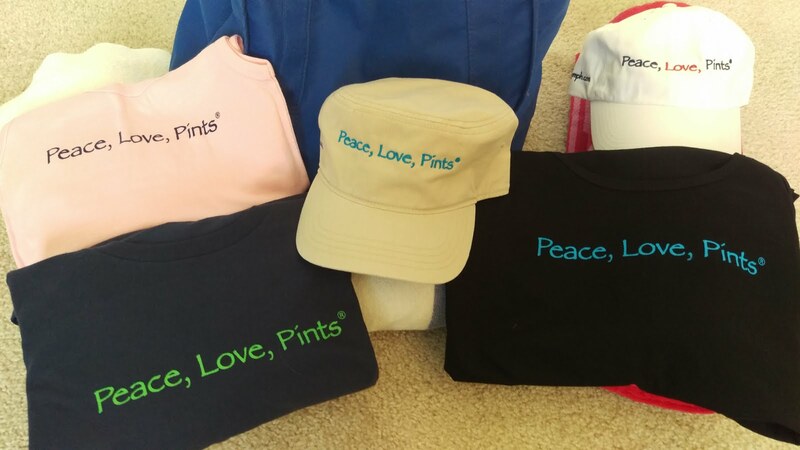 You might recall the initial promotional video. 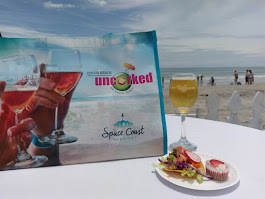 As a scuba diver and lover of beach and ocean, I personally appreciate this effort immensely. Wildlife can't always determine what's what, and everyone should be recyling plastics anyway - there's just no excuse other than laziness not to recycle. Kudos to Saltwater Brewery! I was able to see the rings up close at the brewery tent with Scott. 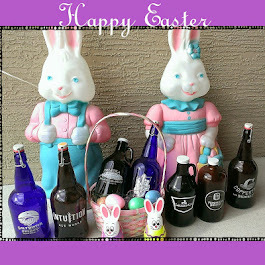 And, of course, I simply could not pass up that Mayday Imperial Porter! 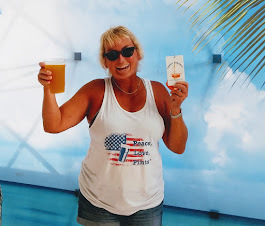 With the new six-pack rings.... and a Mayday! 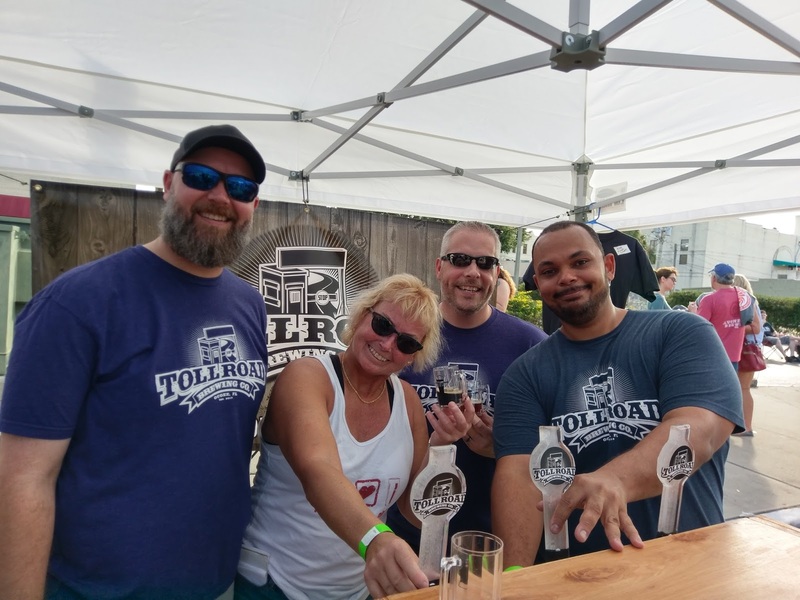 Another up-and-coming brewery, Toll Road Brewing, is close to opening in Ocoee. The guys made the trip to DeLand with It's What's for Breakfast Imperial Porter with Coffee and Maple, along with an Irish Red and a Berliner. 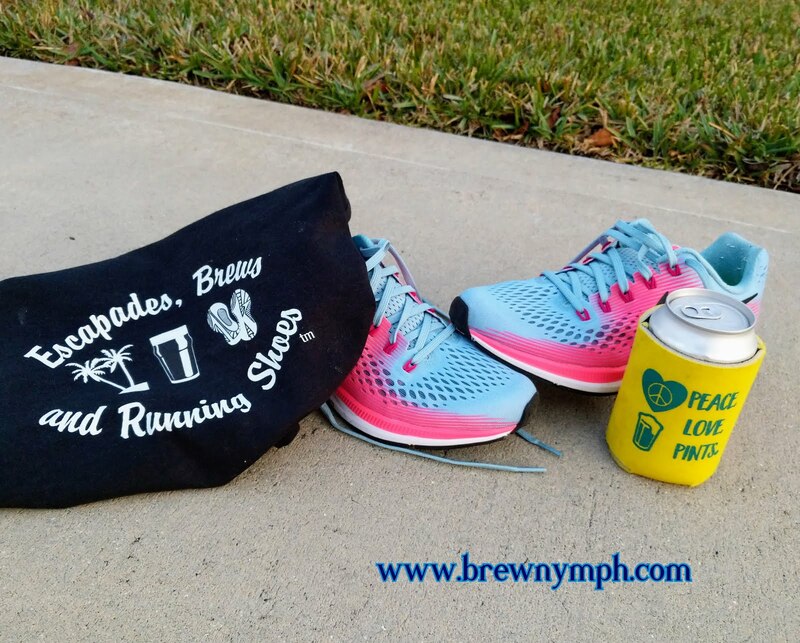 Yes, the brewery is close to two toll roads. Based on that Porter, it will be worth the drive to get to this one! 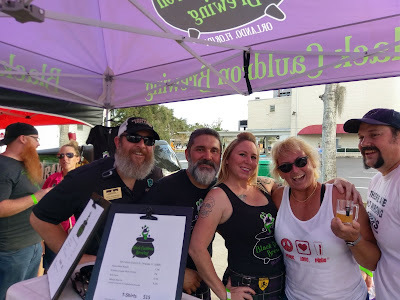 I may have missed this one at Rocky Water last fall, but I was glad this time around to catch up with Jeana and Black Cauldron Brewing in Orlando. If you're ever headed to the stadium, this brewery is just down the street! 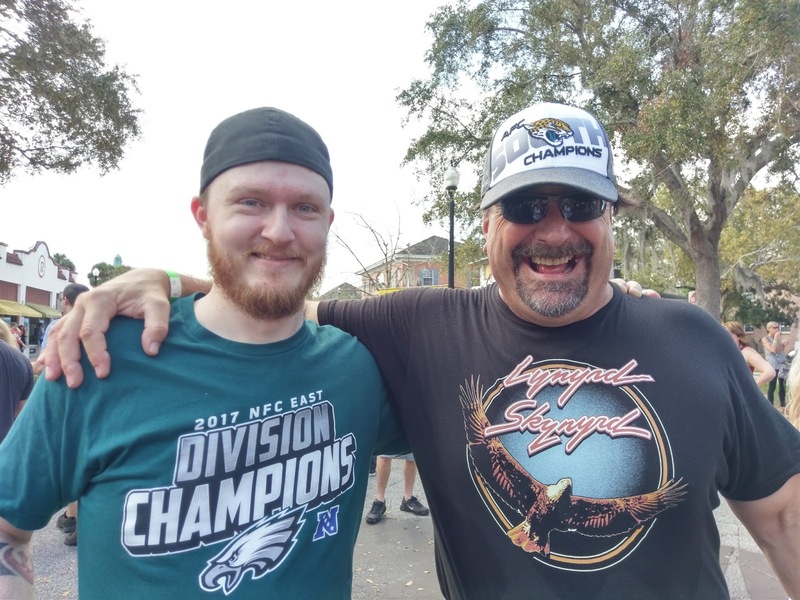 Seems like beer and sports go together, too, and with the recent NFL playoffs and Super Bowl®, there was also some football talk between Jaguars and Eagles fans. 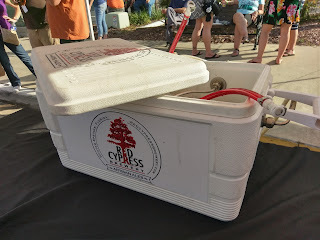 As the sun began its descent later in the afternoon, things started to slow down as the backend of the beerfest neared. 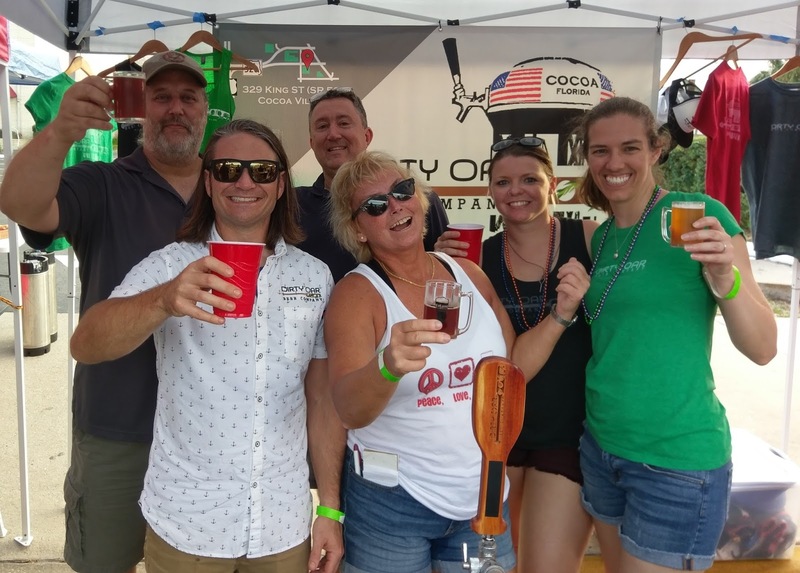 Just a little more fun with those guys at Dirty Oar Beer Co.
Four hours at a beerfest never seems like four hours, and as tents and tables made their way to trucks and cars, the Ninth Annual DeLand Craft Beer Fest was history. 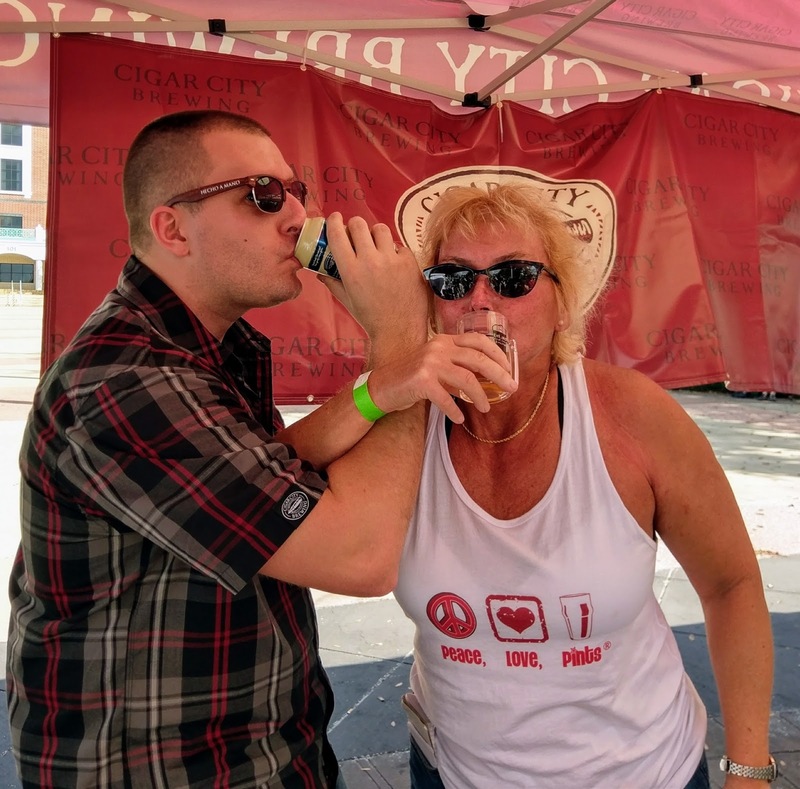 Mark this one on your calendar for 2019, as the fest celebrates its 10th! 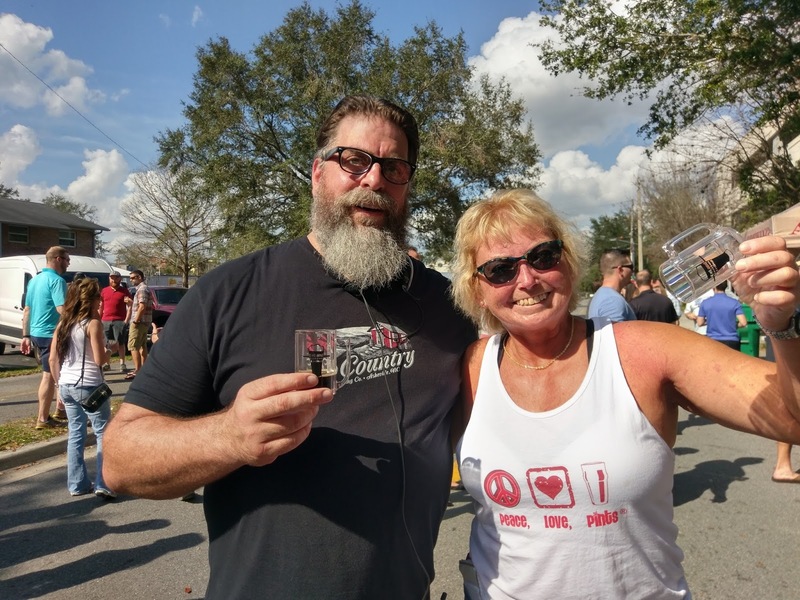 The Volusia Beer Week crew presented another great fest: Cheers to Vin Morrissey, Ed Irvin, Ann-Marie Willacker, and everyone else on the front lines and behind the scenes. With Vin Morrissey, co-founder of the Fest! 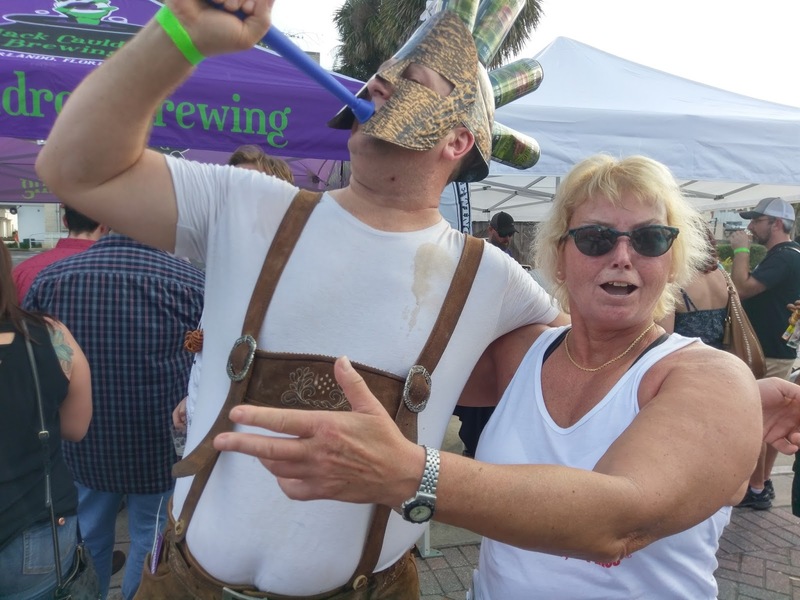 There were smiles all around at DeLand Craft Beer Fest, and this one proves that a smaller fest brings out the best. 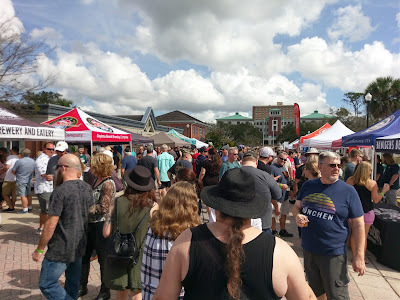 With room to move, lots of beer, and a hometown feel, it was a stroll on a sunny afternoon! Another amazing time at DeLand Craft Beer Fest! 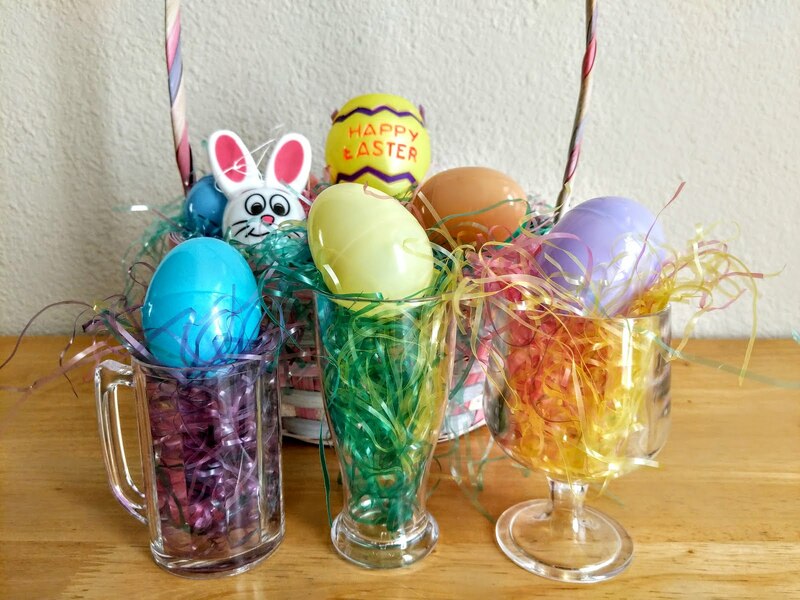 Cheers all the way around! 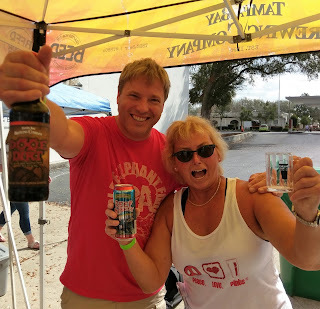 Hey, that's a wrap this time, as Florida Beerfest Season continues ... See you with a beer around Florida Somewhere!